Satoshi Irifune finished a distant second with 2:09:23 and selected for the marathon team for the upcoming World Championships in Berlin. “I am happy to be the first Japanese in the race, which was my goal. But my time is not a world class time. 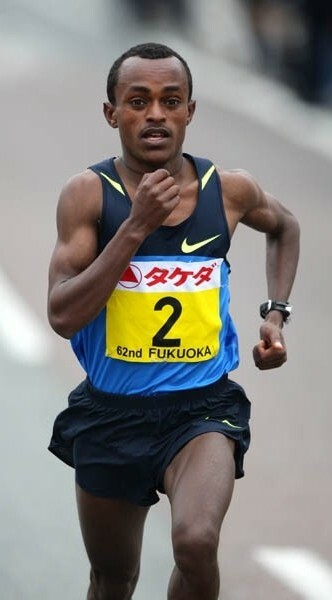 I like to improve it further,” said Irifune, who nonetheless improved his previous personal best of 2:09:40 he recorded in the Tokyo marathon in February. The three minutes, 13 seconds margin of victory by Kebede over Irifune was the largest margin of victory since the 1948 (the race’s 2nd annual edition, which was known as the Asahi Marathon and held in Takamatsu) race, when the winning in was three minutes and 15 seconds.